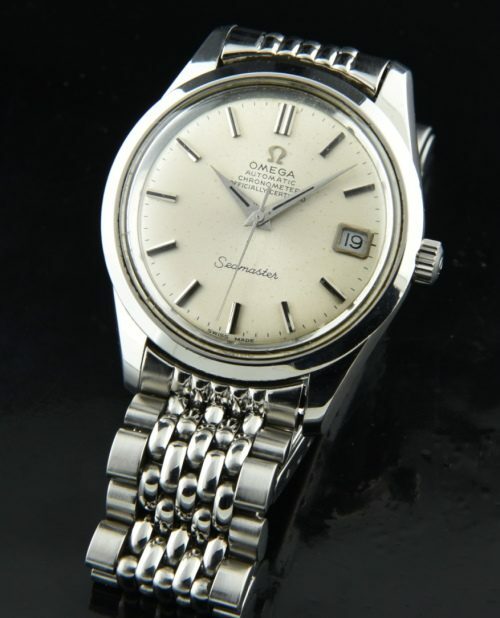 This 1969 OMEGA SEAMASTER CHRONOMETER is among the best value in a vintage watch. It has SO MUCH going for it. The look is clean-lined, shimmering 35mm. 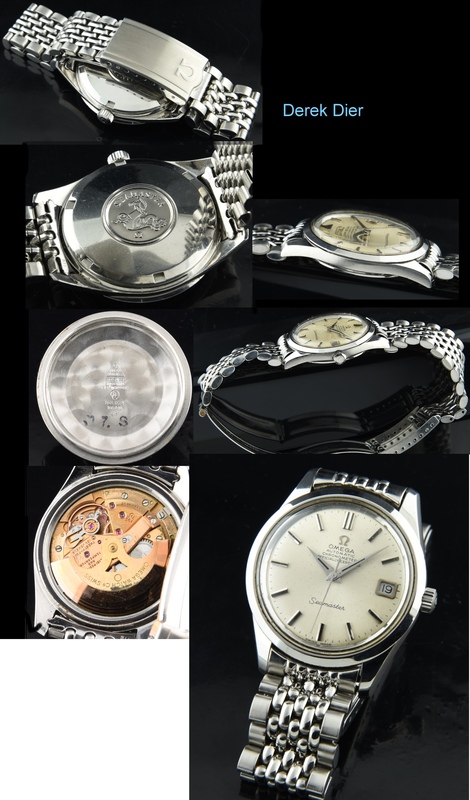 stainless steel case, sea monster case back, signed OMEGA crown, recently cleaned and accurate automatic winding CHRONOMETER GRADE caliber 564 movement, original dial with steel markers and Dauphine hands and original beads of rice stainless steel bracelet. This watch is much more uncommon than a regular Seamaster, because it has a CHRONOMETER GRADE movement (adjusted to 5 positions and temperatures). The original patina on the dial adds vintage appeal and is MUCH less visible on the wrist compared to my photos. These watches can be worn daily for a lifetime and handed down. They are rugged and reliable. This watch will fit up to a 7-inch wrist. This is a great example. On the wrist this watch virtually looks close to new.